When in the library window, select the '+' icon located in the lower left hand corner of the window. Select 'Smart Collections'. 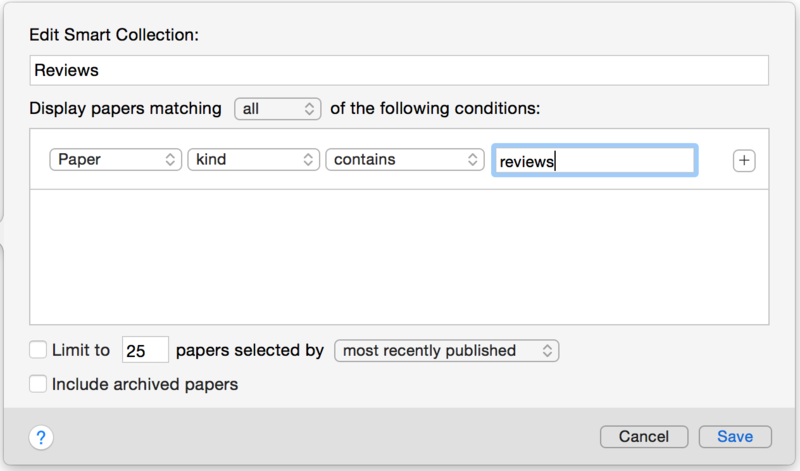 Enter a title for your new Smart Collection (we recommend calling it 'Reviews'. In the drop down menus for conditions select 1. Paper, 2. kind, 3. contains. For the final text box, write 'reviews'. This will now add all reviews to this new smart collection.